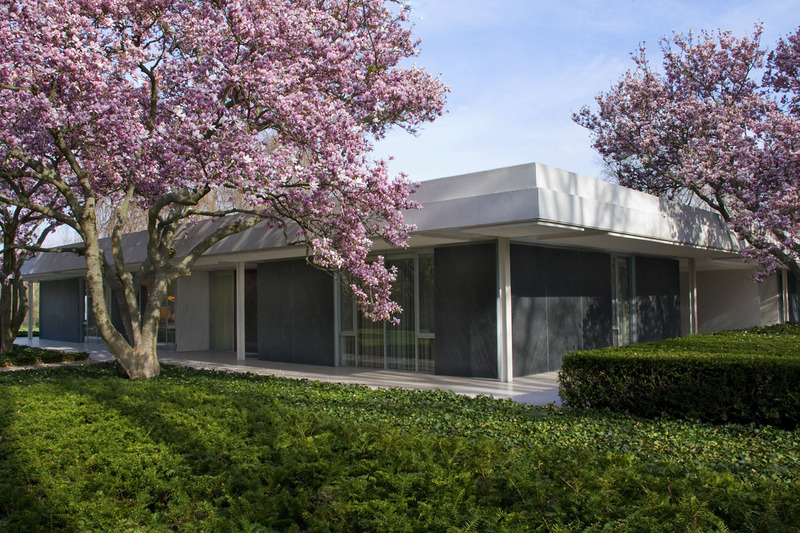 In May of 2011, a domestic modernist masterpiece opened its doors to the public at last, after spending 50 quiet years situated amid the architectural treasures of Columbus, Indiana. J. Irwin Miller and Xenia Simmons Miller were like a lot of their contemporaries: raising children in a home they cherished on a quiet street in a friendly Midwestern town. Their children chased each other, roller-skated on the patio, had slumber parties with their friends, and scattered their toys on the floor. 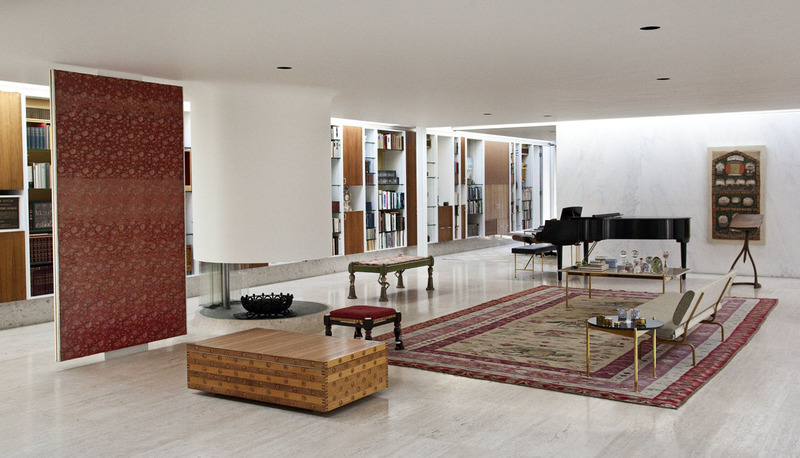 The only difference is that this family was living in one of the most spectacular modernist houses in the country, designed by Eero Saarinen, one of the most important modernist architects of the day. 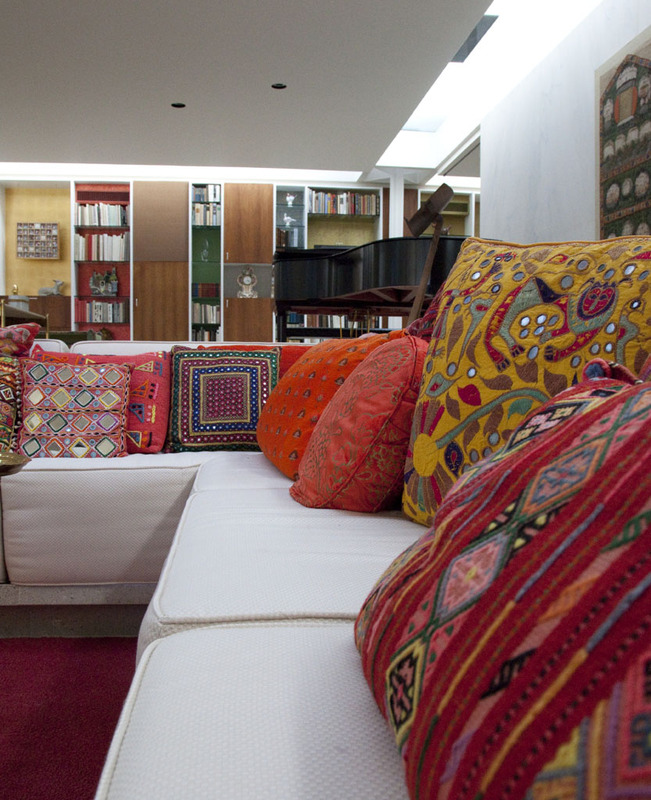 The home’s interiors were brought to life by designer Alexander Girard, and the landscape was designed by Dan Kiley. 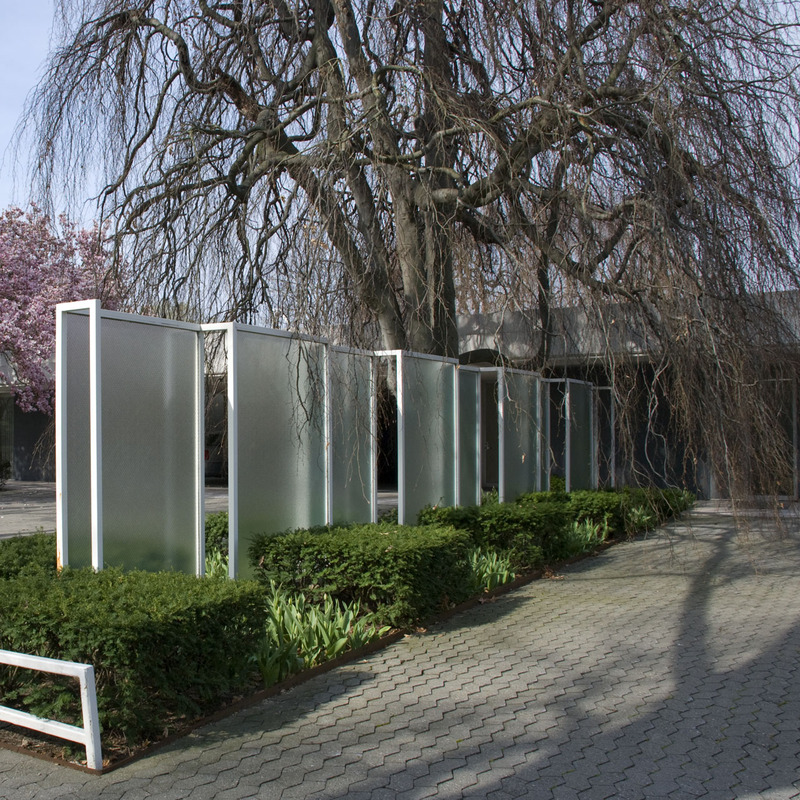 The Millers were ambassadors of design, bringing modernist architecture to Columbus, Indiana, and their home is a representation of how they brought this architectural synergy to town. 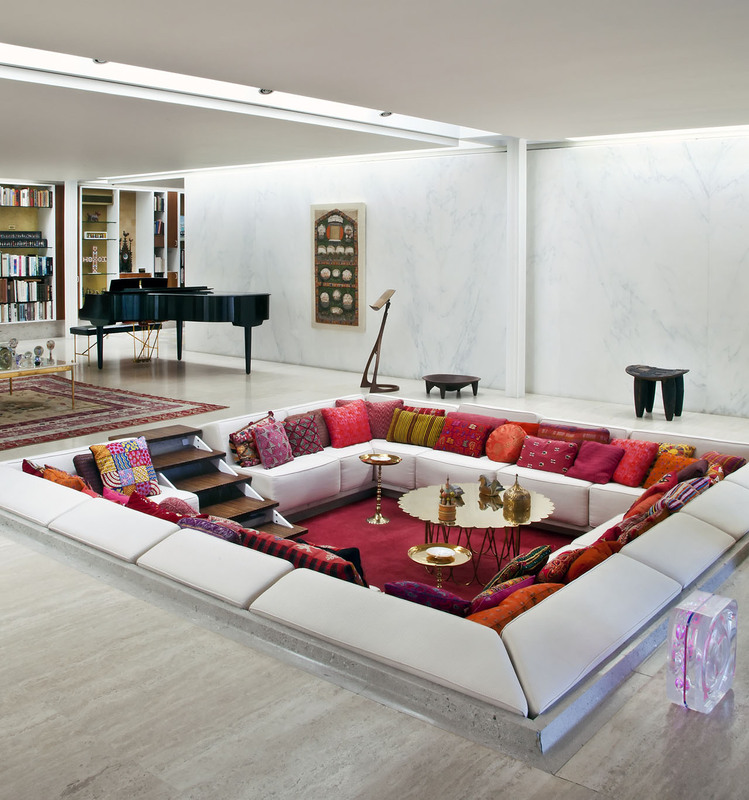 Having wooed Eliel Saarinen to design a building in Columbus a decade earlier, Miller commissioned his friend, and Eliel’s son, Eero Saarinen to design his private residence in 1953. The Millers lived, undisturbed and without any real press coverage, in this home for 50 years. 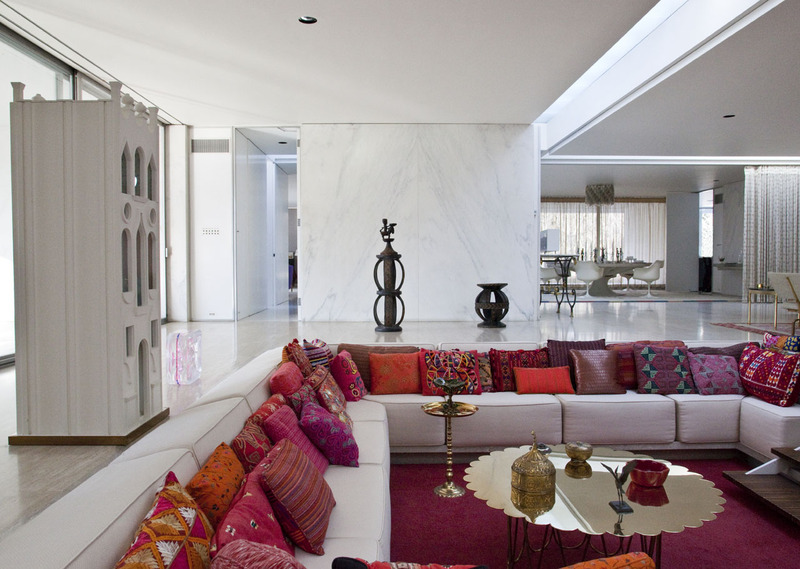 It’s only recently— since May 2011—that the home has afforded any access to the public. 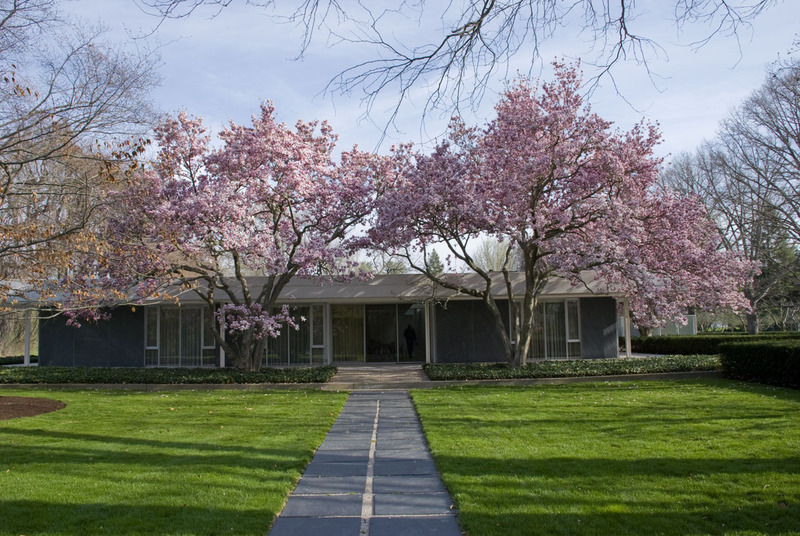 “With the opening of the Miller House, it’s a new opportunity to see a really integrated example of modernist domestic design: a fantastic house and landscape developed at the same time by some of most important designers America had at the time,” says Bradley Brooks, director of historic resources at the Indianapolis Museum of Art (the Miller House is now under the umbrella of the IMA). 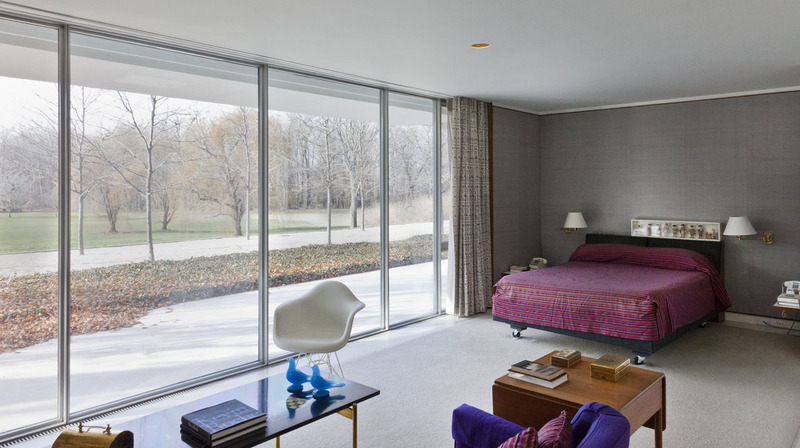 With its flat roof, stone and glass walls, and grid of skylights, the Miller House is Saarinen through and through. 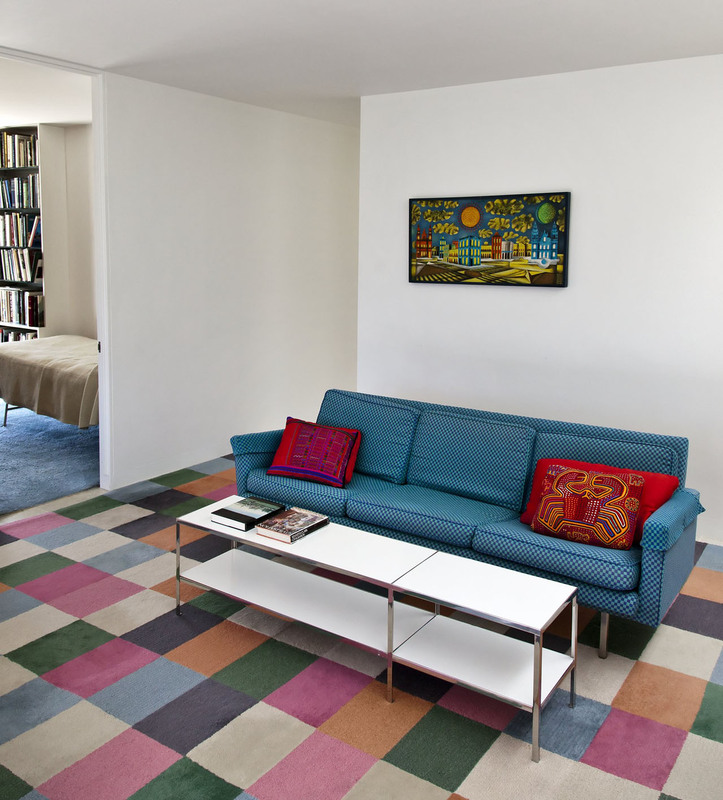 The geometric gardens and play of land and space is Kiley at his best, and Girard filled the inside of the Miller House with mid-century modern patterns, bold colors, and exquisite forms. 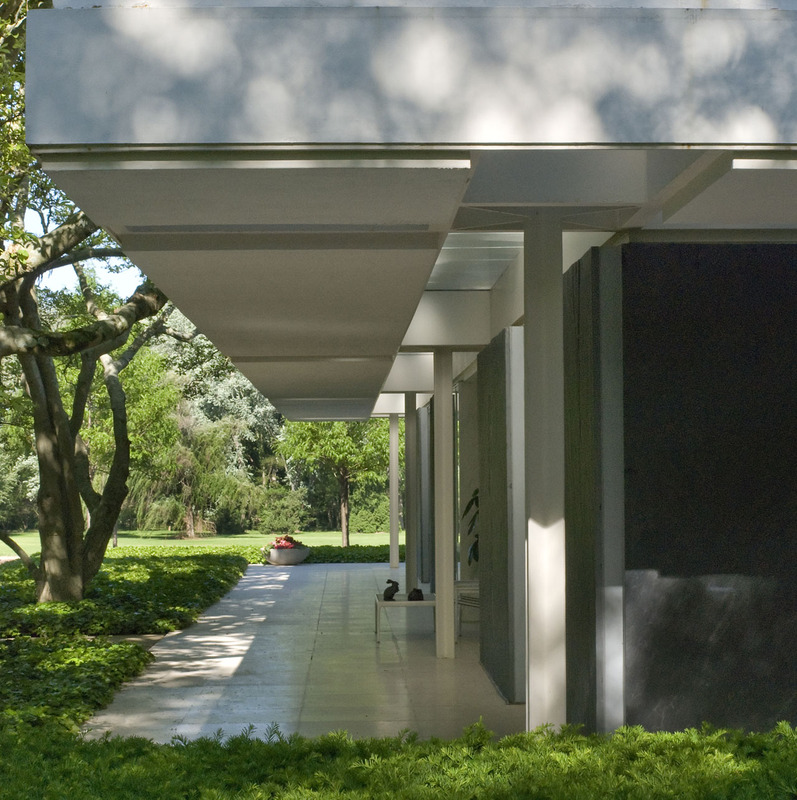 “In terms of modernist residences, this is up there with any you can name, but it doesn’t have an appearance similar to the ones people think of first, like the Farnsworth House, the Glass House, or the Eames house,” Brooks says. 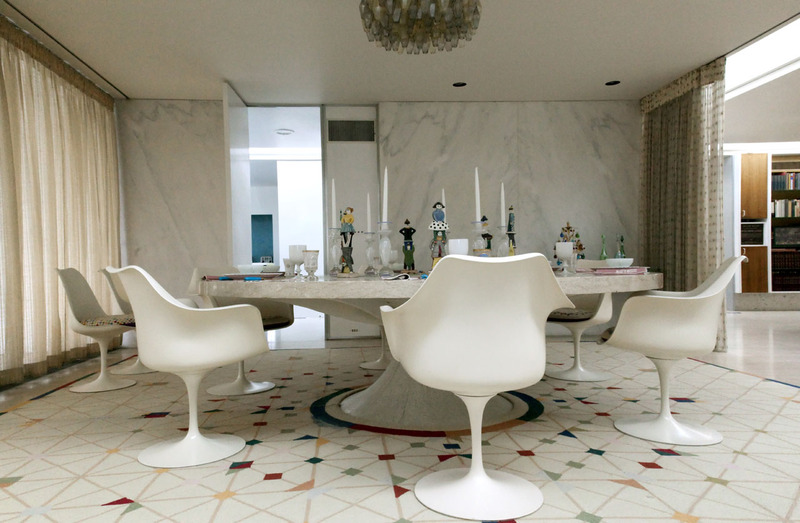 None of those properties were built as primary family residences, as the Miller House was; the Millers had four children when Saarinen began, and Mrs. Miller was pregnant with a fifth. 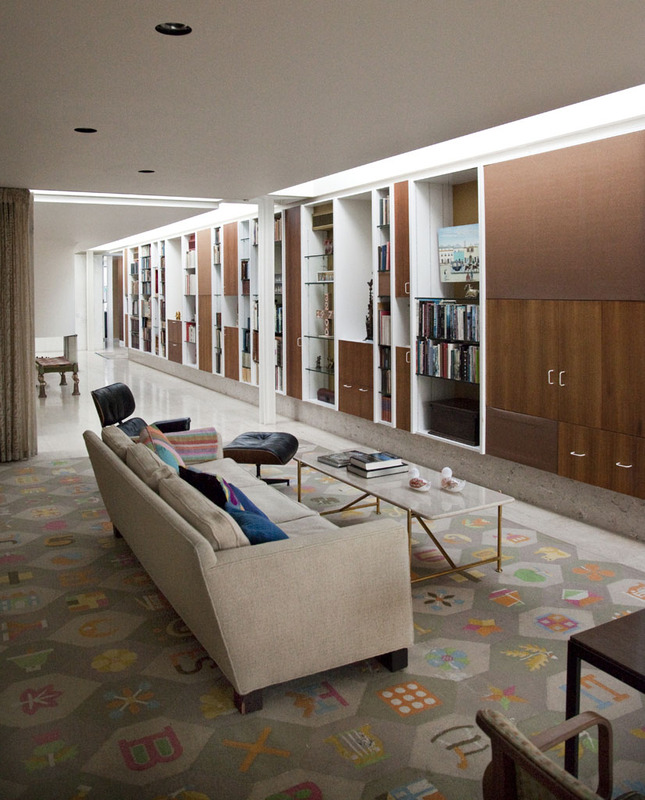 The space had to function day in and day out as a family home, and the fact that it did so brilliantly—while being a modernist masterpiece—is the reason architecture enthusiasts are so excited to finally get a glimpse inside. The Millers were, of course, aware of the significance of the property. 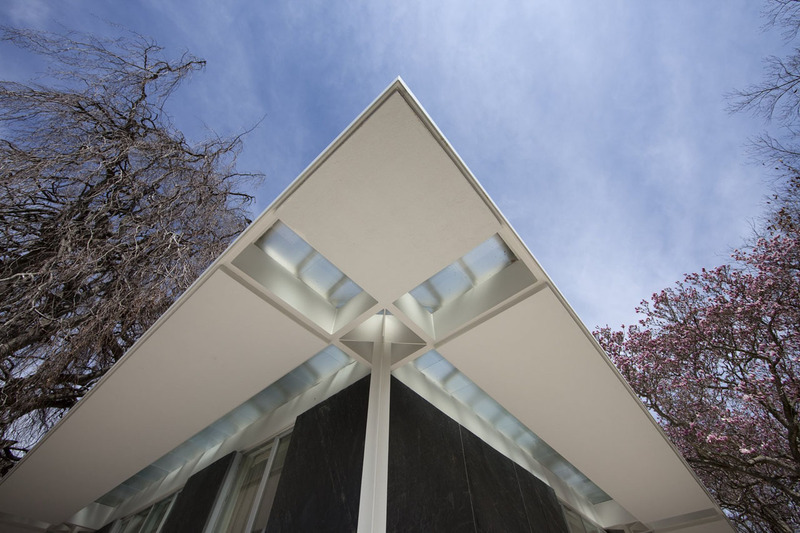 In 2000, it received the National Historic Landmark designation. 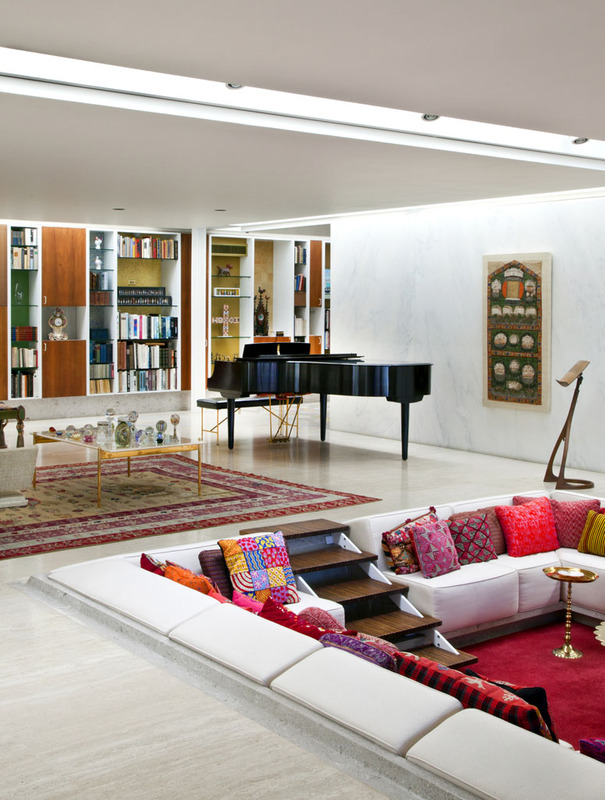 It was the first property to do so while one of its designers, Dan Kiley, was still alive and while the original owners were still living there. Mr. Miller passed away in 2004, and Mrs. Miller died in 2008. While Mrs. Miller was still alive, however, she and the family actively arranged what would happen to the property. They met with the National Trust and others to talk about plans for turning the home into a museum. As a result, it’s now owned and maintained by the IMA, and the Columbus Convention and Visitors Bureau gives tours. Visit the Miller House site for information. 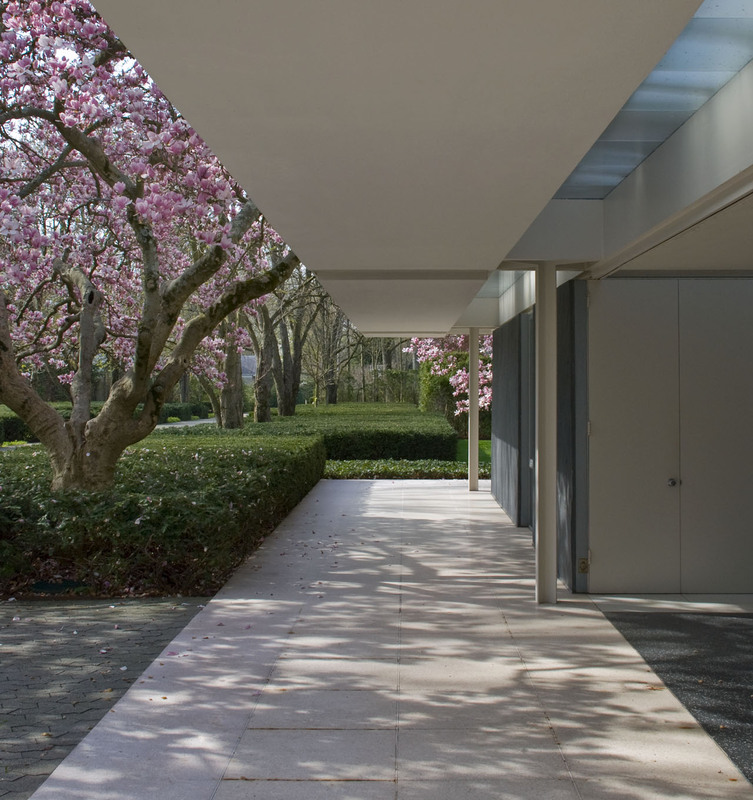 Today, everything that visitors see in the house belonged to the family, with the exception of the terrace furniture, which was donated by Herman Miller. The house has an appearance not unlike what it was in the early years of the family’s occupancy, Brooks says. The main difference is that the family’s large art collection, which included pieces from Monet, Picasso, Kandinsky, and Henry Moore, is gone, as it was sent to auction. 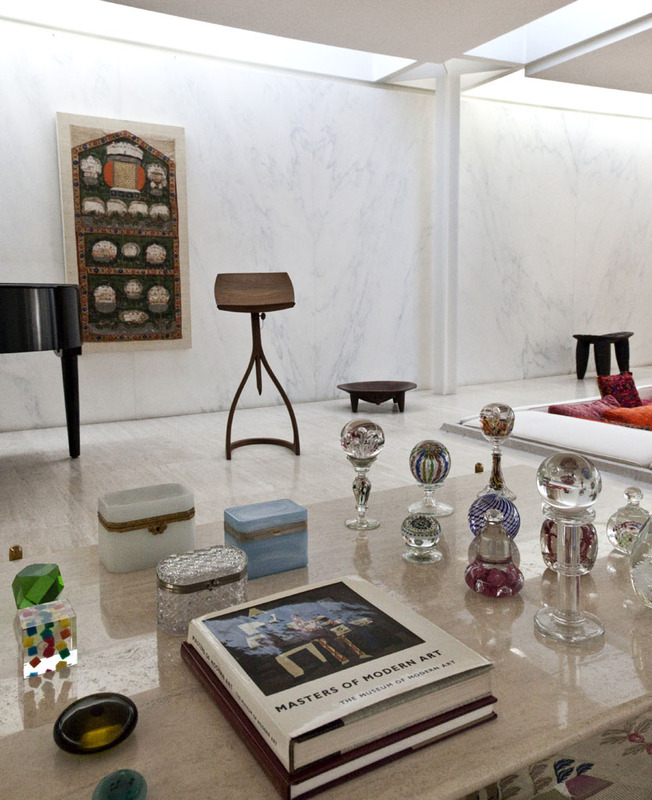 “The collection was fabulous—head-spinning, really. But the architectural design actually reads more clearly and with more immediacy without the pieces there,” Brooks says. Visitors notice immediately the remarkable quality of light inside the space, although views from the exterior don't suggest that the home would be so bright. “There’s a wonderful, soft, even light that fills the house because of the skylight system that crosses the house in a grid pattern. That experience of soft, beautiful light is a powerful and remarkable thing,” Brooks says. 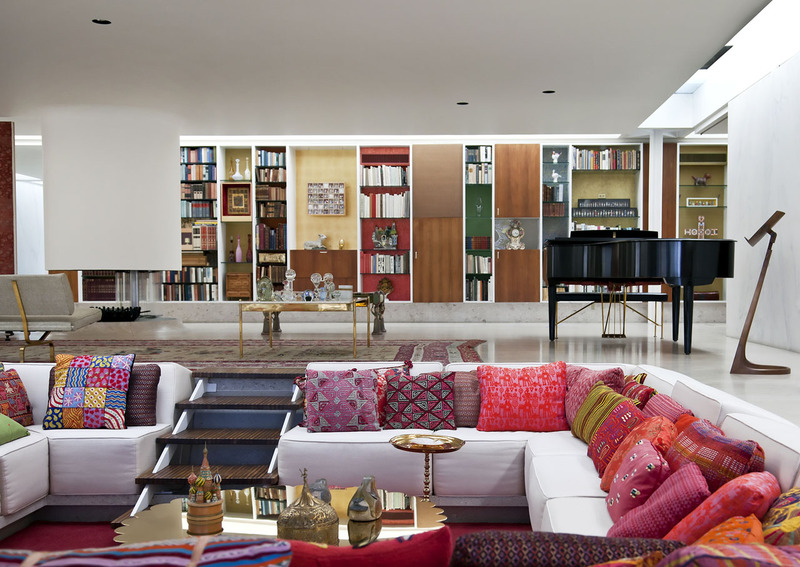 Other things that won’t go unnoticed include the conversation pit filled with Girard textiles and the 50' long storage wall. “That was Girard’s riff on a place to put things. It’s basically a 3D mural, a huge wall-scape,” Brooks says. Girard worked closely with Mrs. Miller on the furniture and antiques, selecting items that would make the space truly feel like a home. The siting of the house also contributes to its character. 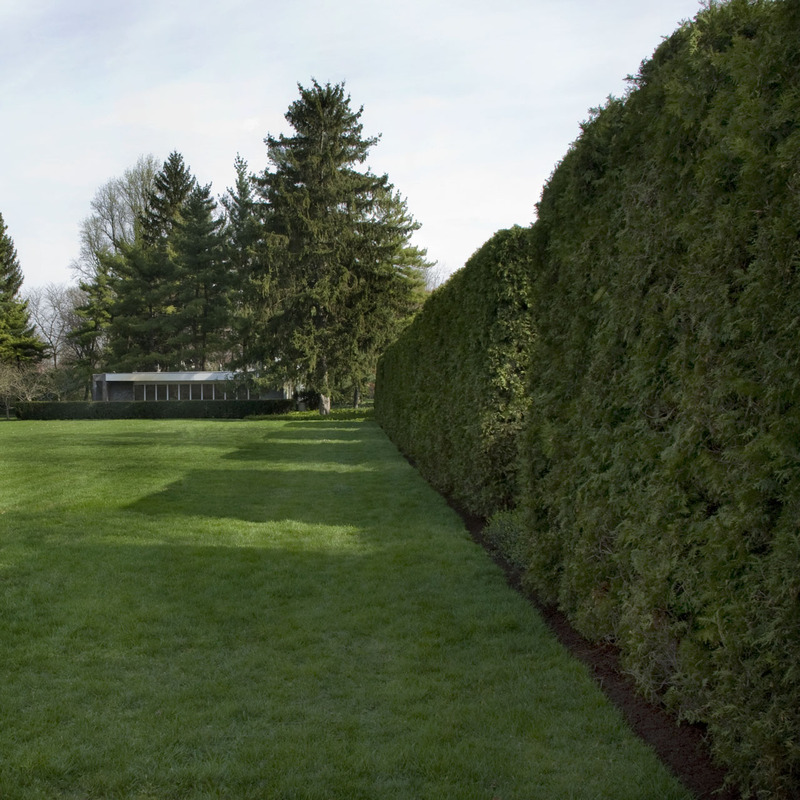 “There is a strong visual relationship to the landscape in every way you can look out,” Brooks says. The IMA decided to present the house as they received it. Because the children had been out of the house for years, the family had made changes consistent with having grown children. Although the material culture of childhood is gone, it is not hard to imagine. In the home, you notice that there is a specific function for every wing: the master bedroom, the kitchen/domestic help, the guest space, and the kid space. “It’s a strong architectural statement about the importance of family life,” Brooks says. For all its splendor, the Miller House sits modestly in the landscape, and it’s not visible from the street. “It was never about ‘look at me’ for the Millers, it’s safe to say, and they were extremely thoughtful about what they wanted, and patient with the design process so that it would evolve into something they cherished and loved,” Brooks says. The people of Columbus returned the love, he says. “It’s hard to overstate the esteem in which Mr. Miller is held here for what he did,” Brooks says. And now, the doors of the Miller House are graciously open. Judi Ketteler ( @judiketteler ) writes about creativity and design for web sites, magazines, and private clients. 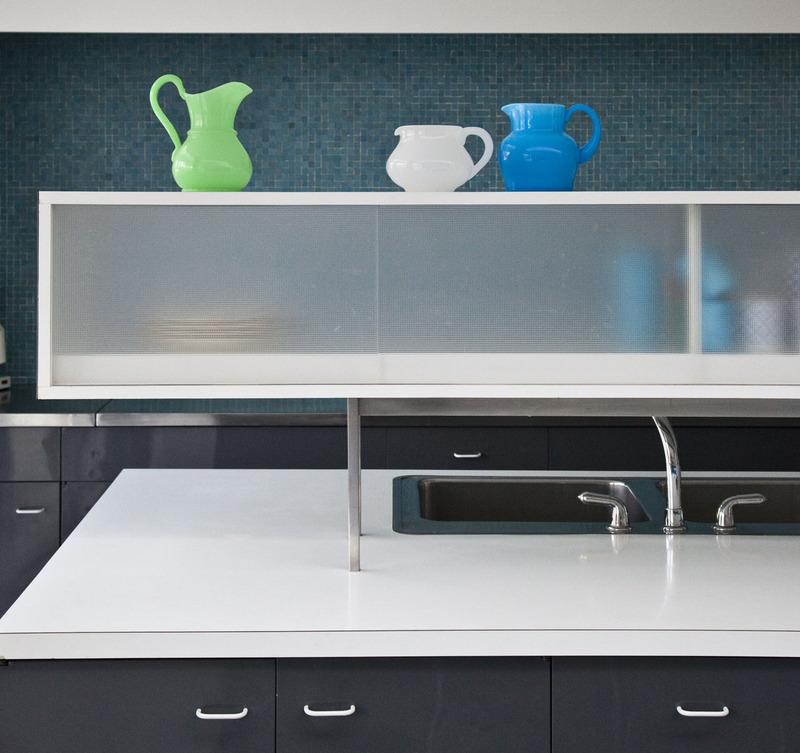 She's been published in Better Homes & Gardens, ElleDecor.com, Whole Living, and others. She's also the author of Sew Retro: A Stylish History of the Sewing Revolution + 25 Vintage-Inspired Projects for the Modern Girl (Voyageur Press, 2010). Find her at judiketteler.com.